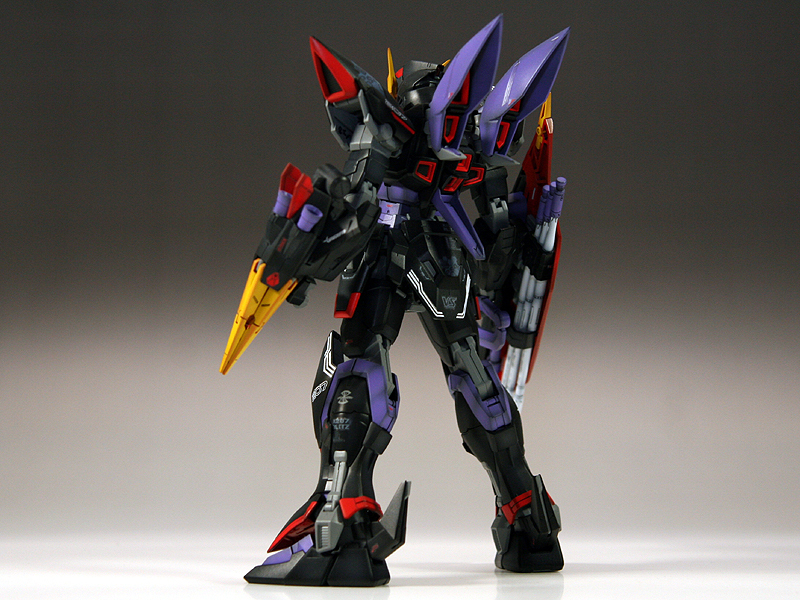 Blitz Gundam `The Raven` special warfare specification machines 2nd restart MG SEED. In addition, the Grape and Neil Torikerosu an integrated weapons of offense and defense to reproduce the rich gimmick. Torikerosu of the right arm. 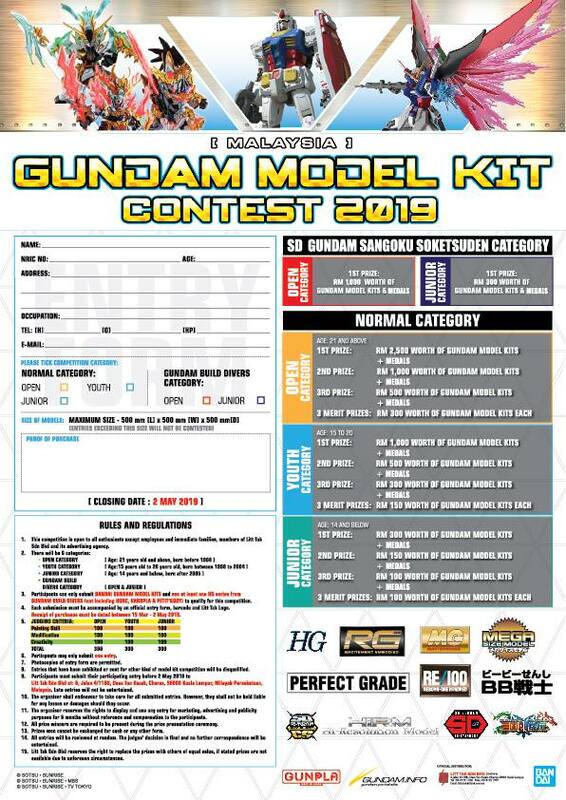 With beam saber, beam rifle, the Lancer Dart. Grape Neil was equipped with the left hand side. In addition to the movable claw part, reproduced in a wire during injection,mounting portion weapon after the injection, MG original. 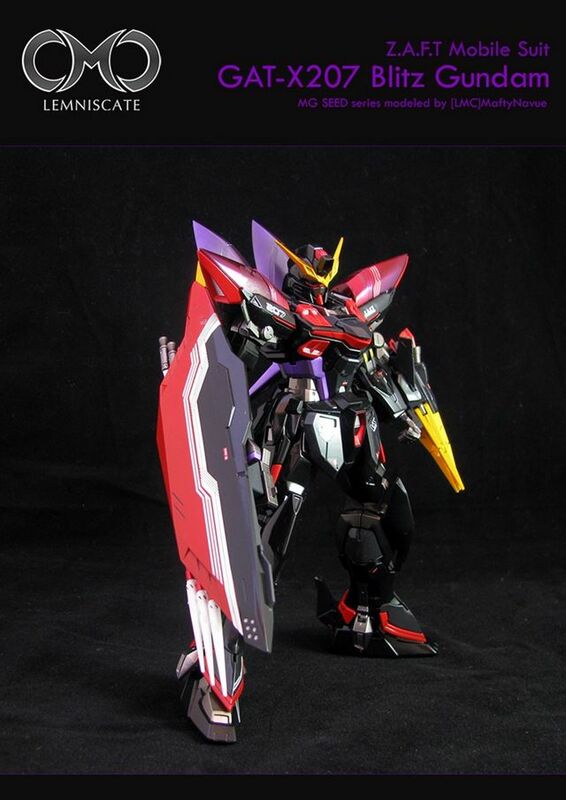 Gundam of five aircraft had been developed in Heliopolis ... (set version TV) GAT-X207 Blitz Gundam of a machine. 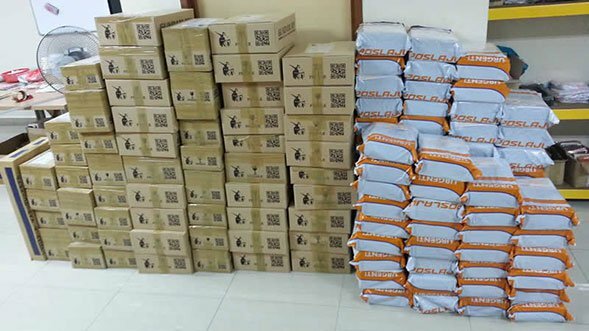 Fuselage frame system was adopted X-200. Has a complete stealth performance,has been specialized for shock tactics. With the outbreak of the Bloody Valentine War, the Earth Alliance's Atlantic Federation begins a secret project to develop mobile suits to counter ZAFT's mass-produced ZGMF-1017 GINN as well as operate free of interference from the N-Jammers. 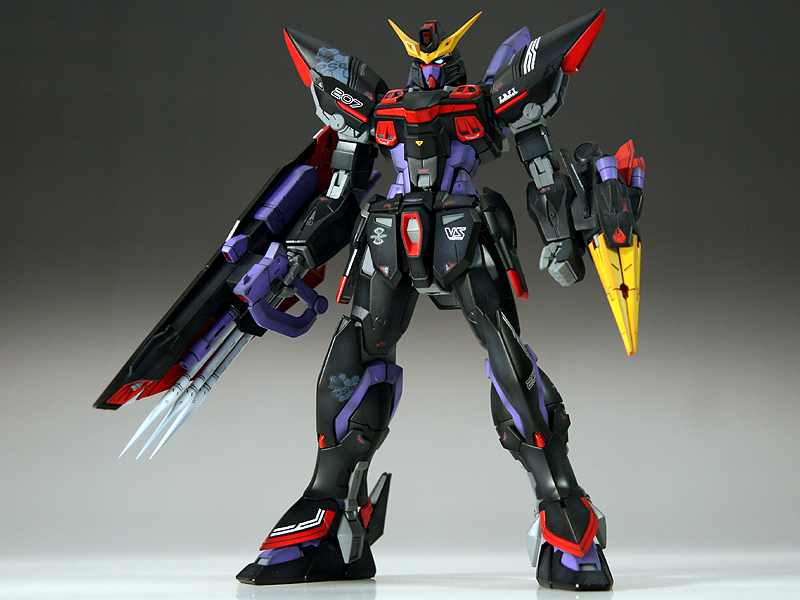 The GAT-X207 Blitz Gundam is one of five initial designs that the Alliance secretly builds with Orb. The Blitz Gundam's design is geared towards melee combat and stealth missions. 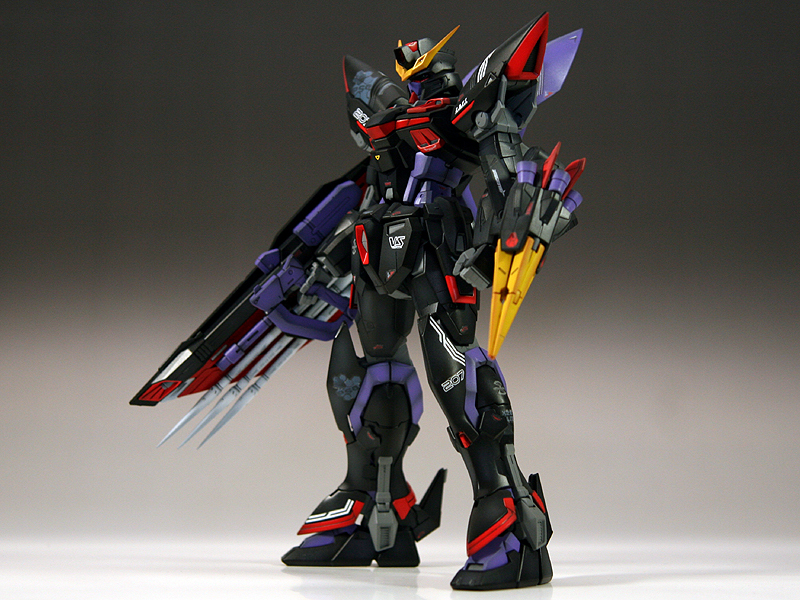 Like the other prototype Gundams, the Blitz Gundam is equipped with the new Phase Shift (PS) armor technology. When in Phase Shift mode, the Blitz Gundam is nearly impervious to attacks from shell-firing artillery or melee weapons. However, use of Phase Shift for extended periods of time is a massive drain on the energy battery. Unlike the other four prototypes, the Blitz Gundam's body is coated with Mirage Colloid particles. When activated, the Mirage Colloid renders the Blitz Gundam invisible to the human eye as well as computer sensors for up to 80 minutes. However, the Mirage Colloid cannot be used simultaneously with Phase Shift, rendering the Blitz Gundam vulnerable to attacks while invisible. 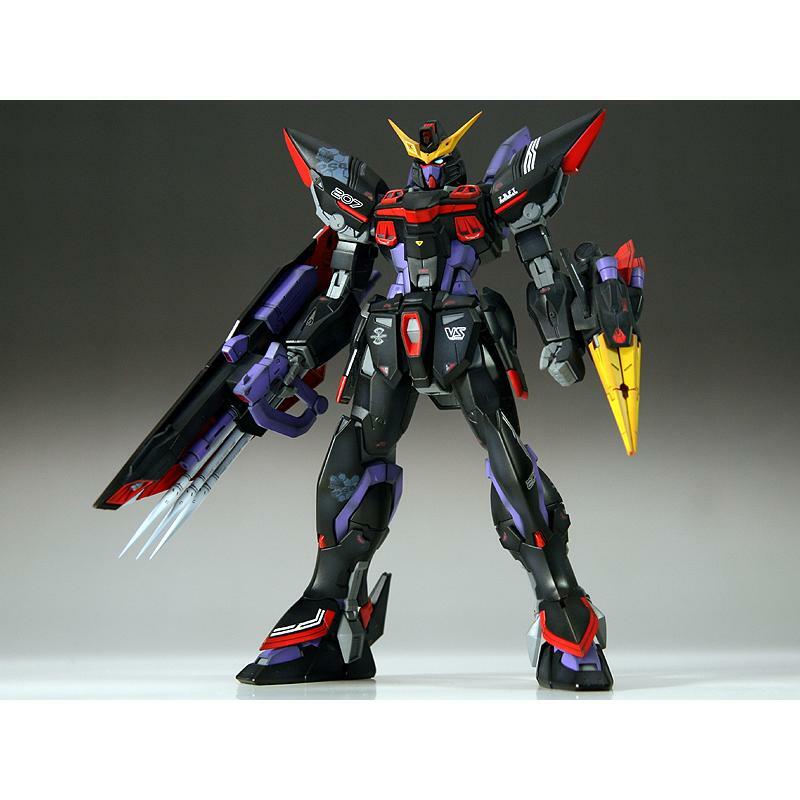 After the war, the Alliance creates an upgraded version the GAT-X207SR Nero Blitz, along with a special operations production unit, the GAT-S02R N Dagger N.
The Blitz Gundam's armament consists of a "Trikeros" offensive/defensive system. Mounted on the right arm, this system functions as a shield and beam rifle, and also shoots out lancer darts. 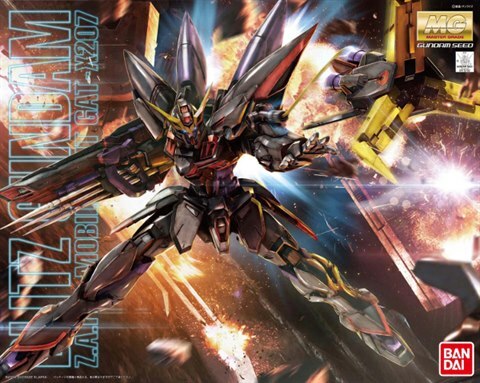 The Blitz Gundam Is also equipped with a "Gleipnir" anchor on its left arm, which Is similar to the "Panzer Eisen" rocket anchor used by the GAT-X105+AQM/E-X02 Sword Strike Gundam. The Blitz Gundam first enters combat on January 25, C.E. 71, when it's stolen by ZAFT pilot Nicol Amalfi during the attack on Heliopolis. Subsequently, Nicol tests the Mirage Colloid system by using it to penetrate the defenses of the supposedly impregnable Alliance space fortress Artemis. Nicol is later killed on Earth when the damaged Blitz Gundam is destroyed by Kira Yamato's Strike Gundam. Orb later uses a salvaged arm from the Blitz Gundam to upgrade its MBF-P01 Gundam Astray "Gold Frame". Gleipnir Anchor: The left forearm of the Blitz mounts the "Gleipnir" anchor, a weapon which can be fired to pierce an enemy unit and then retrieved on a line. A similar technology is installed on the GAT-X105+AQM/E-X02 Sword Strike in the form of the "Panzer Eisen" rocket anchor. Trikeros Offense/Defense System: Mounted on the right arm of the suit, the "Trikeros" offense/defense system is the main weapon and shield of the Blitz and includes several features. 50mm High-energy Beam Rifle: For ranged combat, the Trikeros mounts a high-energy beam rifle. Lancer Darts: The Blitz has three lancer darts that can be fired or be used for close combat. Beam Saber: Mounted on the Trikeros, its the Blitz's primary close combat weapon of choice.